The KR Joey is made to hold that extra ball you might need for a bowling night but don't have the bag to fit it. This allows you to add a ball to your aresenal without subtracting much from the wallet. 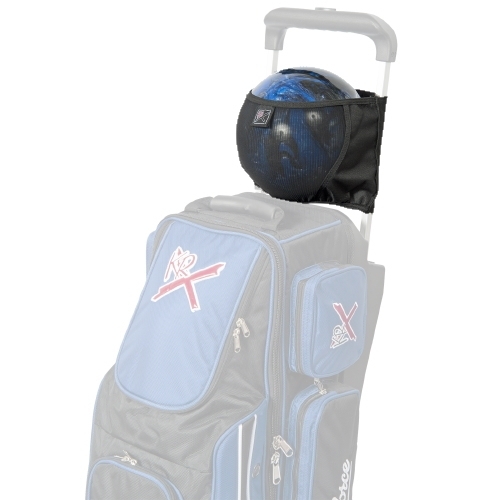 The KR Joey is made to fit on the handle of wheeled bowling bags. Hard to get bowling ball in. Very hard to get bowling ball in. Due to the time it takes to produce the KR Strikeforce Joey Black ball it will ship in immediately. We cannot ship this ball outside the United States.